Is a start-up spring coming to the Middle East? EDITOR’S NOTE: After the 2011 political revolutions, a new Arab Spring is in motion to bring economic change through entrepreneurial innovation. Find out more from Council on Foreign Relations fellow Gayle Tzemach Lemmon. The Middle East is seldom associated with the start-up world. When thinking of the region, few imagine entrepreneurs working away, hustling to secure funding and find customers for their fledgling businesses. But that image is increasingly a reality. In a region where unemployment among young people is well into the double-digits, a hunger for job creation and connectedness, coupled with technological breakthroughs, has sparked a start-up movement. In his new book, ”Startup Rising: The Entrepreneurial Revolution Remaking the Middle East”, Christopher Schroeder argues that “while economic success is hardly assured [in the Middle East], the rise of a new generation of business entrepreneurs cannot be ignored.” Schroeder, an American entrepreneur and venture investor, was one of the first people to call international attention to the potential of Arab start-ups; in a 2010 op-ed in the Washington Post, he noted that the entrepreneurial shift in the Middle East was “worth watching and supporting.” Now, in the midst of conflict and political upheaval, Arab entrepreneurs are launching a revolution of their own and providing a much needed economic boost to the region. The Arab Spring, paired with the global recession, has weakened many Middle Eastern countries’ economies. Unemployment rates have soared, especially among people under the age of 30 who comprise two-thirds of the region’s population. In 2012, the International Labor Organization reported that youth unemployment rates worldwide were highest in the Middle East and North Africa, at 28.3 percent and 23.7 percent, respectively. Women have also struggled to achieve their economic potential. According to the World Bank’s 2013 Open Doors report, only 25.2 percent of women participate in the labor market — nearly half the average rate in other lower and middle income countries. That women only account for one-fourth of the region’s work force is even more surprising given that more than half of all college graduates are women. And little has changed over time: female labor force participation has increased by only 0.17 percentage points each year for the past thirty years. Despite these challenges, entrepreneurs in the Middle East are managing to grow micro, small, and medium enterprises that supply up to ninety-nine percent of private sector jobs in some Arab countries. In particular, Amman, Jordan has become a start-up hub. Jordan is an especially conducive place for entrepreneurs as it boasts a strong education system, has invested in Internet distribution channels, and offers one of the region’s most robust media landscapes. Young entrepreneurs are sprouting up in other Middle Eastern cities as well, including Beirut, Cairo, Dubai, Riyadh, and Doha, sparking what is being referred to by some as the ”start-up spring.” This phenomenon has been amplified by entrepreneurship accelerators such as Oasis500, Wamda, and Silatech, and emerging regional crowd-funding platforms such as Zoomal and Yomken. As was the case during the Arab Spring, women are a driving force in this revolution. Internet-based start-ups have given Middle Eastern women a portal into the often male-dominated field of entrepreneurship. 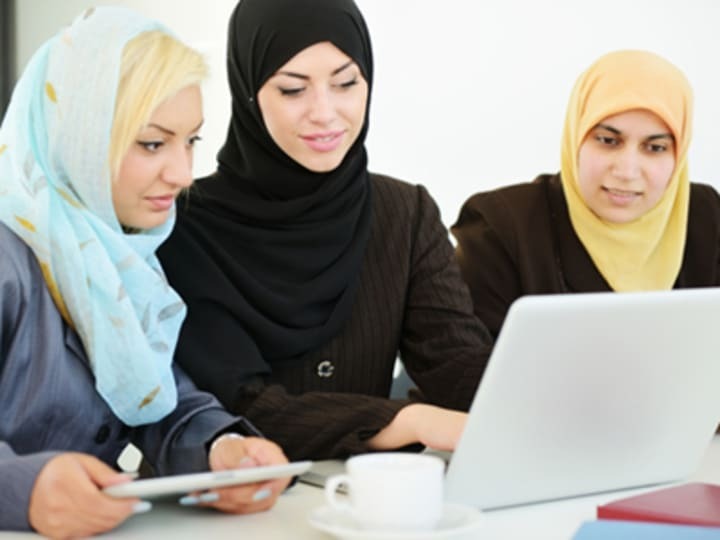 Arab female entrepreneurs are excelling and even surpassing their counterparts in other regions, making up about thirty-five percent of the region’s start-up labor force — more than three times the global average. Internet and technology start-ups, which can be launched and run from home or from all-female offices, are helping women tackle social, economic, and political barriers that often limit their employment opportunities and ability to contribute to local and regional economies. In addition to empowering women, technology start-ups play another interesting role in the Middle East. In a region prone to transition and strife, technology start-ups are more resilient than many other businesses given that their virtual infrastructure is not as susceptible to on-the-ground conflict. Technology entrepreneurs are able to sustain and even grow their businesses in volatile environments. Growing Internet usage in the Middle East, which has historically lagged behind other regions in Internet speed and reliability, is also fueling the start-up movement. For those looking to promote stability and prosperity in the Middle East, supporting and investing in the region’s start-ups is a good option. As small and medium businesses continue to drive regional economies, Arab entrepreneurs, including youth and women, can create a future for themselves while also boosting innovation and growth in their economies.